LIMERICK's All-Ireland champions are among thousands of students graduating at the University of Limerick this week. 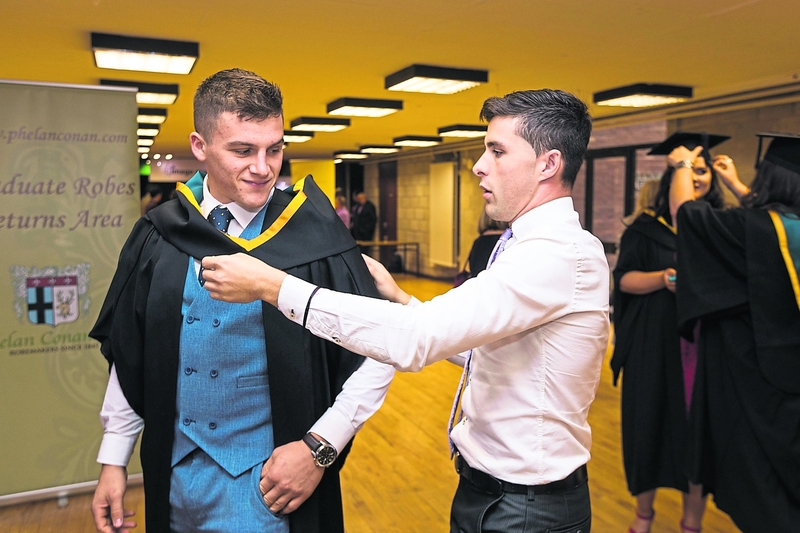 Hurling heroes Mike Casey and Gearoid Hegarty were conferred on Tuesday at UL with Sean Finn, Tom Morrissey and Pat Ryan due to graduate this coming Thursday. Na Piarsaigh’s Mike Casey, who graduated with a Bachelor of Technology Materials and Architectural Technology, will soon join teaching staff at Limerick’s newest school, Limerick Educate Together Secondary School, along with fellow UL graduate Caoimhe Lillis. 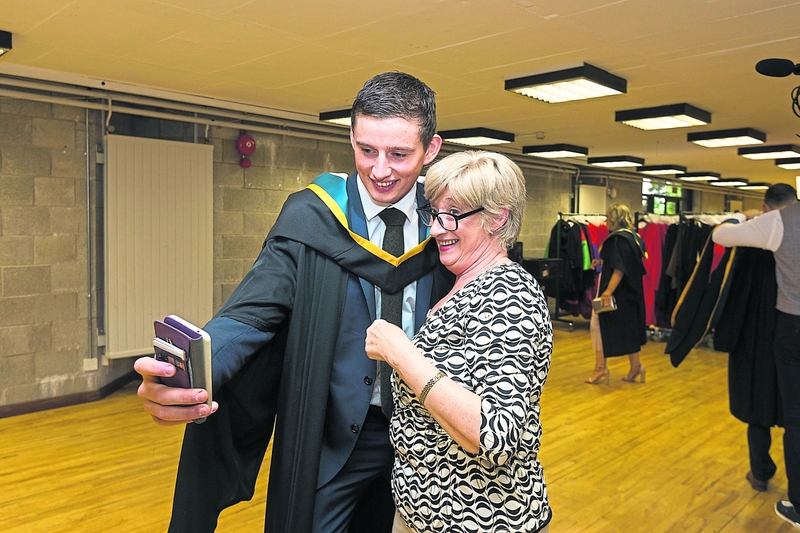 St Patrick’s Gearoid Hegarty graduated from the university with a Professional Master of Education (Business). More than 2,800 students are due to graduate at UL this week, as conferring ceremonies continue until Friday. This Wednesday will see students from the Faculty of Science and Engineering graduate, with students from the Kemmy Business School and the Faculty of Arts, Humanities and Social Sciences due to receive their scrolls on Thursday and Friday. The UL community warmly welcomes back to the campus our 2018 Graduands this week with their friends and families. #ULGraduation There will be 9 Conferring Ceremonies over 5 days this week.